In the Rome of the '30s lives Nito Valdi, a difficult boy just out of the reformatory, who works for a boss in the area with his friend Tony. Several italian families fight for honour and respect. Miranda is a beautiful Italian girl, she is married to Mariano. They live in a village called Anghiari (Tuscany). Far to be a right term, in this case "nic" has the sense of decent. 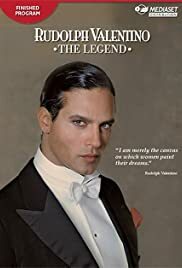 Using the biography of Rudolph Valentino almost as pretext, proposing three pillars of Italian cinematography of the last decades - Angela Molina, Asia Argento, Orso Maria Guerrini, Gabriel Garko, it is one of many superficial-sentimental-too easy series with a seductive actor in the lead role, with a story like pink novels, with a drop of glamour and dramatic crumbs. For a film about Valentino, all that works in well manner. Not real surprising . And the performance of Gabriel Garko is reasonable, his body and good look being more important than the artistic skills.